Questions to ask if a GP suspects ADHD. By consultant child and adolescent psychiatrist Dr Sabina Dosani. Attention deficit hyperactivity disorder (ADHD) is a behavioural syndrome characterised by core symptoms of hyperactivity, impulsivity and inattention. Some patients diagnosed with ADHD are predominantly hyperactive and impulsive, while others are chiefly inattentive. The proportion of children in the UK reported as having been diagnosed with ADHD is 1-5%. ADHD is diagnosed more frequently in boys than in girls. However, reviews of the literature suggest studies indicating a male:female ratio of more than 3:1 should be treated with caution. Children with ADHD are often found to have one or more other mental health disorders or learning disabilities. ADHD lacks biological markers or physical characteristics, so it is recognised by behavioural characteristics. ADHD is generally accepted as a robust clinical syndrome that satisfies particular diagnostic criteria. The precise causes of ADHD are unknown. Research has indicated that ADHD is 'highly heritable',1 but the responsible genes have not been identified. Research has also demonstrated that children and young people diagnosed with ADHD have common neurobiological problems and deficits. ADHD affects the brain, making it difficult for children to control their behaviour. Poorly controlled ADHD can have a calamitous effect on the lives of the patient, their family and friends. Years of being told off or hectored for bad behaviour can lead to educational underachievement and frank social disadvantage. The line between normal and abnormal behaviour is often blurred and subjective. Many children who have other emotional or behavioural disturbances also show signs of core ADHD symptoms. ADHD is related to the frontal lobe of the brain working more slowly, research suggests.2 This may be because children with ADHD have a shortage of certain neurotransmitters, believed to be dopamine and noradrenaline. This deficit means the frontal lobe cannot react and respond to information appropriately. Two main diagnostic criteria are in use, ICD-10 and DSM-V. ICD-10 uses a narrower diagnostic category, which includes people with more severe symptoms and impairment. DSM-V has a broader, more inclusive definition, which includes a number of ADHD subtypes. Definitive diagnosis requires the presence of inattention, impulsivity and hyperactivity before the age of seven, and that symptoms continue for at least six months, occur in more than one setting, cause significant functional impairment and cannot be better explained by another psychiatric childhood condition. First suggestions of ADHD are typically educational underachievement, but can involve road accidents, minor criminality and serious yet not readily explicable disruptions to family life. For a child with ADHD, the outside world rushes in as a flood of noise and images, making it difficult for them to decide what is important. ADHD differs from naughty or boisterous behaviour in that these children struggle with inattention, often daydream, are disorganised and often lose things. Children with hyperactivity problems seem to be on the go all the time and are often restless and talkative. Many children show disruptive behaviour as part of growing up, but those with ADHD have behavioural problems so all-encompassing and unrelenting, they disrupt their lives and the lives of those around them. A key consideration in differentiating naughty or boisterous behaviour from the core symptoms of ADHD is the degree of functional impairment across multiple contexts and the degree to which these deficits interfere with a child's normal developmental trajectory, as perceived by multiple informants. Can the child complete tasks? Do they daydream a lot? Is the family always looking for things the child has lost? Can they concentrate on difficult, boring things? Do they make you run late? Are they always on the go? Do they act or blurt things out before thinking? How do they cope with any last-minute change in plans? Can they sit still in class or at the dinner table? Medication helps many children with ADHD, but about one in five will gain no benefit. Other children who do benefit find the side-effects unpleasant, to the point that they discontinue their medication. Pharmaceutical treatment should be started by a specialist child and adolescent psychiatrist or paediatrician who has been trained in this field. Combination treatment of behavioural interventions and medication management, and medication management alone, are significantly superior to intensive behavioural treatment alone and to routine community care in reducing the symptoms of ADHD. Stimulant drugs act by increasing the amount of dopamine or noradrenaline in the brain. Commonly used stimulants include methylphenidate, dexamfetamine and mixed salts of amphetamine. Stimulant medication can improve attention span, decrease distractibility, increase ability to finish tasks, decrease hyperactivity and reduce impulsivity. The different formulations of stimulant drugs differ mostly in duration of action. Short-acting stimulants last three to five hours. Longer-acting ones last up to 18 hours. Stimulants can cause unpredictable effects, including motor tics, which transiently occur in 15-30% of children taking stimulants. Psychological treatments for ADHD can be broadly classified into behavioural, cognitive or cognitive-behavioural, and neurofeedback training. Behavioural interventions involve teaching parents the principles of social learning, reinforcement and stimulus controlled behaviour. Cognitive-behavioural interventions for ADHD involve teaching self-instruction, problem-solving, self-reinforcement and self-redirection. Cognitive training studies have also attempted to target working memory and attention deficits. ADHD has traditionally been viewed as a disorder of childhood that patients will grow out of. Most researchers now agree that while the core deficits underlying ADHD are lifelong, its particular presentation changes as children mature into adulthood. Luke, aged eight, is taken to see his GP because he has been in trouble at school. His mother is called to the school three or four times a week for incidents of fighting, kicking and running in corridors. He annoys his classmates but can finish his work with one-to-one attention from a student teacher. At home, Luke seems unable to sit still for long, has had several falls when climbing trees and needs endless prompts to tidy his toys. His father is said to have been a 'lively' child, then a 'bright underachiever' who occasionally fell foul of the law. On examination, Luke ran and jumped about, making noises. He swung on a chair and took the batteries out of an ophthalmoscope. When Luke fights, kicks others or takes risks such as running into the road, he is given 'time out', which isolates him for a short time and allows him and his parents or teacher to calm down. To reduce his aggression and impulsivity, Luke is taught to respond verbally rather than physically and to channel his energy into activities such as sports or music. Over time, Luke's parents became skilled at picking their battles. Home is more harmonious. They fenced their garden, fitted a childproof gate and cut some branches off a tree, preventing him from climbing it. His parents remain concerned about Luke's use of bad language. They have been encouraged to allow verbal responses unacceptable in other children, as this is preferable to physical aggression. At school, Luke is less aggressive, has a statement of special educational need and now works well with a classroom assistant. He has been moved to the front of the class, where the teacher can keep an eye on him, and given one task at a time.9 He is given special tasks, like taking the register to the school office, so he can leave class without being expected to sit still for long periods. The MTA Cooperative Group. A 14-month randomized clinical trial of treatment strategies for attention-deficit/hyperactivity disorder. Arch Gen Psychiatr 1999; 56: 1073-86. The Multimodal Treatment of ADHD (MTA) study looked at how intensive pharmaceutical treatment compared with intensive behavioural therapy, or a combination of the two, for a period of up to 14 months. Combination treatment and medication management alone were both significantly superior to intensive behavioural treatment alone and to routine community care in reducing ADHD symptoms. The study also showed that these benefits last for as long as 14 months. In other areas of functioning, such as anxiety, academic performance and social skills, combination treatment was consistently superior to routine community care, whereas medication alone or behavioural treatment alone were not. NICE. 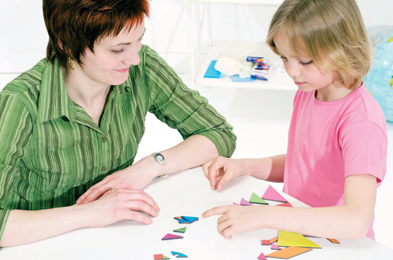 Attention deficit hyperactivity disorder overview. Rutter M, Bishop D, Pine D et al. Rutter's Child and Adolescent Psychiatry. Oxford, Wiley, 2001. Chapter 25, Syndromes of Hyperactivity and Attention Deficit, is the definitive overview of assessment, diagnosis, interventions and information to give parents and teachers. ADHD foundation. Regularly updated information on guidelines, general management information and templates. Contributed by Dr Sabina Dosani, consultant child and adolescent psychiatrist at the Leapfrog Clinic, Harley Street, central London. Devise a protocol for monitoring patients on medication for ADHD. Review children who have had accidents as a result of impulsive behaviour or where parents have reported school-related behavioural problems, to consider a diagnosis of ADHD. Organise a meeting of patients at the surgery with children diagnosed with ADHD, with a view to forming a support group. 1. Bauermeister JJ, Shrout PE, Chavez L et al. J Child Psychol Psychiatr 2007; 48: 831-9. 2. Chronis AM, Jones HA, Raggi VL. Clin Psychol Rev 2006; 26: 486-502. 3. Vitiello B. J Child Adolesc Psychopharmacol 2005; 15: 10-11. 4. The MTA Cooperative Group. Arch Gen Psychiatr 1999; 56: 1073-86. 5. King S, Griffin S, Hodges Z et al. Health Technol Assess (Winchester) 2006; 10: iii-iv. 6. Gibson AP, Bettinger TL, Patel NC et al. Ann Pharmacother 2006; 40: 1134-42. 7. Harpin VA. Arch Dis Child 2005; 90 (Suppl 1): I 2-i7. 8. Barkley RA. J Clin Psychiatr 2002; 63 (Suppl 12): 36-43. 9. Christophersen ER, Mortweet SL. Treatments that work for children. Empirically supported strategies for managing childhood problems. Washington DC, APA, 2001.